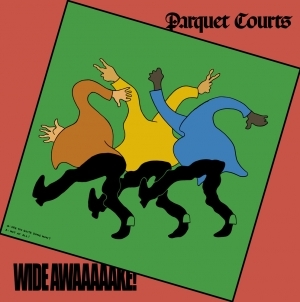 After last year’s disastrous EP, Monastic Living, it’s safe to say that it was unclear if Parquet Courts was ever going to be what they once were—the whacky, creative and eternally interesting indie rock quartet that always seemed to churn out winners. Considering that EP came at the heels of a nearly constant touring schedule and delivered a sound that defined exhaustion, the news of Human Performance’s imminent release may have given some fans a sense of nervous curiosity rather than excitement. 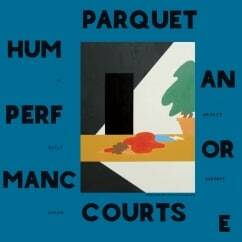 Well, it seems Parquet Courts have caught another wind. Human Performance is not just a cohesive, lucid record; it’s a damn fine way to kick off spring. Human Performance succeeds on several levels. The first is that all 13 tracks deliver exactly what we have come to expect of the band: indie rock with a sense of free-wheeling experimentation. This isn’t an “experimental” record but Parquet Courts makes good use of odd sounds, strange soundscapes, off-key vocals and simple but eccentric lyrics that immediately separate the songs from anything their peers have been delivering so far this year. 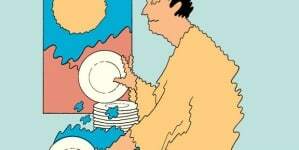 The second success comes, oddly enough, from Monastic Living’s DNA: A sense of the tedium of every day life. This isn’t simply laid out though the lyrical content, but from the traffic noise, the birdsong and the cacophonous chord structures injected into and between tracks that junks up the experience—in a good way—with, well, life. It also comes from the musical degradations from song to sound to noise that emphasize that even the most meticulously rendered plans can fall to pieces only to reform later on. Monastic Living’s nonsense has been completely abandoned, yes, but the creative energies therein inform Human Performance and tie the songs together nicely. And the third success? Not a single off-the-wall concept makes Human Performance devolve into pretentious crap. From start to finish every oddity, every whacky aside, every seemingly useless idea proves essential to this album’s overall listening experience. It all works. Sure, it can be stretched paper thin here or there, but at the end of the day everything congeals into a solid record worth many a spin. 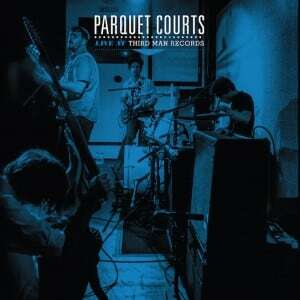 The sound of the album varies from fairly standard lo-fi indie rock as heard on the opening track “Dust,” to the vaguely surf rock tumble of the title track, to the almost classic rock strut of “Paraphrased.” While these styles don’t necessarily jive on paper, it’s Parquet Courts’ sloppy/controlled execution that makes them work. Considering they seem to have a stream of consciousness ethos here, these disparate styles gel together because the band seems to embody the idea that there are no rules to music. They haven’t even cut out the mistakes; in fact, they may very well have made mistakes purposefully in order for their musical perspective to take shape. Even odd-ball tracks like “I Was Just Here” with its proggy-stoner rock vibe and “Berlin Got Blurry” with its Latin/Americana guitar riff and Doors-esque use of the organ fit on Human Performance because they probably shouldn’t. Everything about this album is the combination of the standard and the strange in order to give the record’s title life and purpose. 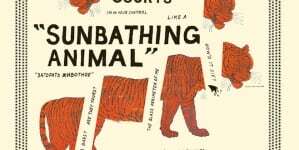 The band’s performance allows these square-peg songs to fit into the round-hole concept because they’re all about the incongruities of being human. And as we all know, when the overarching concept of a record is felt from the opening notes to the final fadeout, that’s when all of the individual parts make a complete body of work worthy of our attention. And truly, unlike Monastic Living, Human Performance is worthy of our time and attention. It’s weird. It’s fun. And it was put together by a band who wasn’t just cramming a batch of songs onto an album. They wrote a record; a complete concept that keeps the notion of the album alive. People seem to believe that albums pieced together in such a way should be considered “concept” records. But take note: Human Performance is not that. It is simply a full body of work best digested if experienced as a whole. It brings the human experience—the ugliest and loveliest moments—to the forefront. 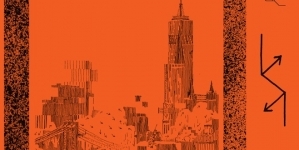 Parquet Courts may have been a bit exhausted a year ago, but Human Performance, like the time of year of its release, is a rejuvenation of sorts. And a welcome and compelling rejuvenation at that.